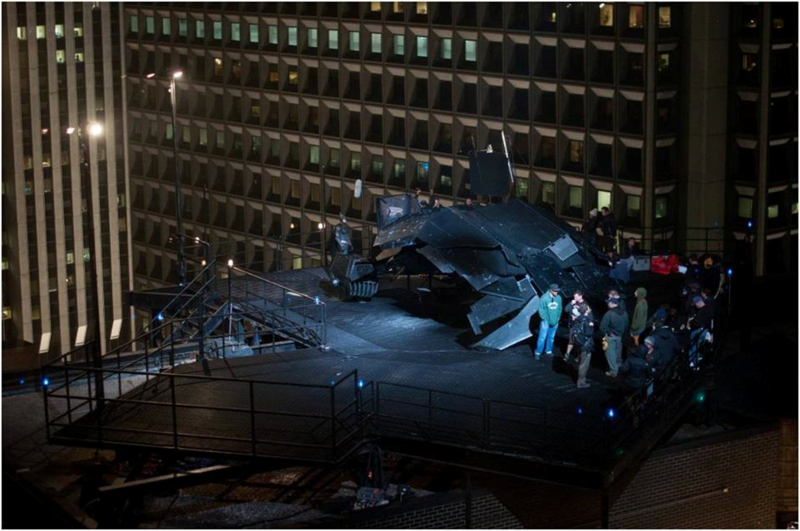 Just got the shot below from The Dark Knight Rises set in New York sent to me by an advertising person that happens to have an office I wouldn’t mind camping out in for the next couple weeks. It took me hours and hours of standing on bridge in the middle of the night in downtown LA with a bunch of paparazzi to get anything worthwhile from the Batman set. 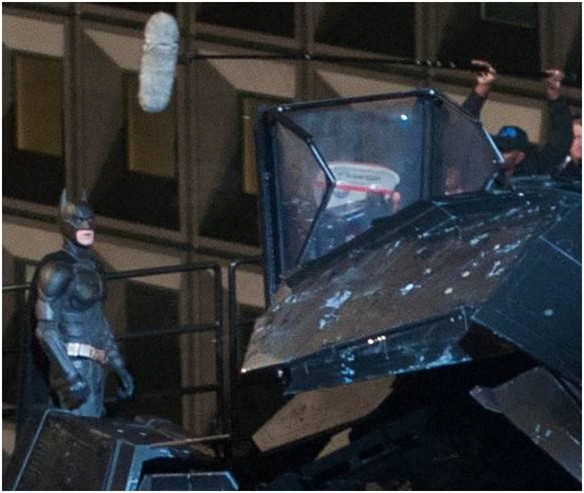 This appears to be the new Batwing in it’s parked state with Christian Bale in full bat attire shooting a dialogue scene (hence the boom mic). The ice on the vehicle and little dusting of snow around the platform fits with all the other sets I’ve seen in Pittsburgh and LA. If you know of anyone with offices overlooking this Batman insanity, PLEASE SEND PICS MY WAY!!!! This entry was posted on Friday, November 11th, 2011 at 9:07 am	and is filed under Movie News. You can follow any comments to this post through the RSS 2.0 feed. You can leave a response, or trackback from your own site.